Starting a new adventure but you’re still trying to learn the ropes? Why not try hiking? Don’t worry, we can jumpstart your hiking career easily. You can hike near Metro Manila mountains, for starters. The Philippines have hundreds of mountains that it’s almost a shame if you can’t at least climb one. If you are looking for a thrilling adventure to discover nature (and even yourself), you don’t need to travel far nor do you have to spend a lot. 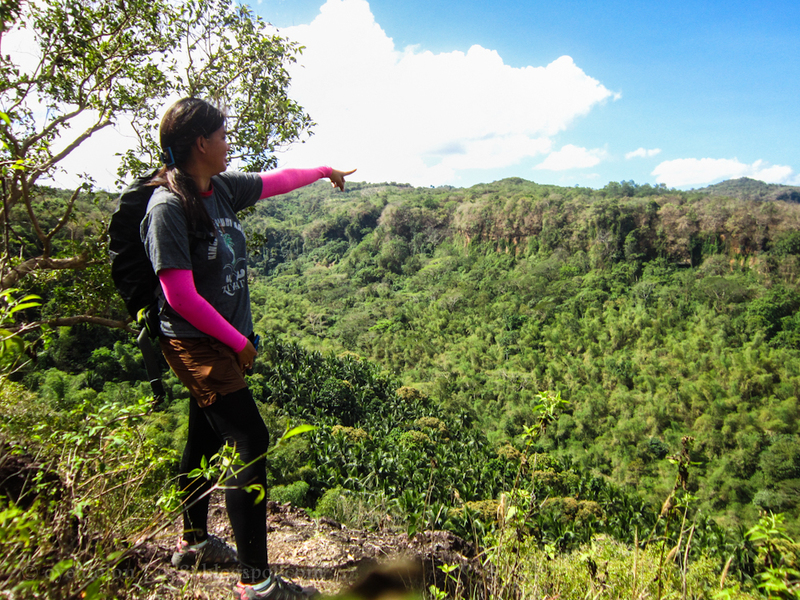 In this post, we have listed seven beginner friendly hiking spots near Metro Manila. These hiking spots are very accessible and are best taken as a day hike. You also don’t need to have expensive gears to help you reach the summit. Best of all, they offer great scenery and picturesque views that are worthy of an Instagram moment. Dambana ng Kagitingan (Shrine of Valor) sits atop Mt. Samat which is 553 meters above sea level (MASL). Climbing towards the historical 92-meter high cross-shaped structure is easy as you only need to follow a concrete road to reach the summit. The structure’s viewing deck gives you a good look at the surrounding towns and nearby mountains. If you still have the time and energy after the climb, you can visit the nearby Dunsulan Falls in Brgy. Liyang. One of the country’s most treasured volcanoes is just a couple of hours drive from Metro Manila. Hiking Taal’s Crater Lake, which is at 311 MASL, rewards you getting up close and personal with the second most active volcano in the country. Make sure to drop by Red Lava to get an unobstructed 360-degree view. It’s best to do this hike with a group to lessen expenses especially on boat rent which averages at PHP 2,000. How to get there: Ride a Nasugbu or Tagaytay bound bus in Buendia. Drop to Olivares and hire a trike going to Talisay. Ride a boat going to Taal Volcano (best if you have arranged it beforehand). Gulugod Baboy got its name because peak resembles that of a pig’s spine. 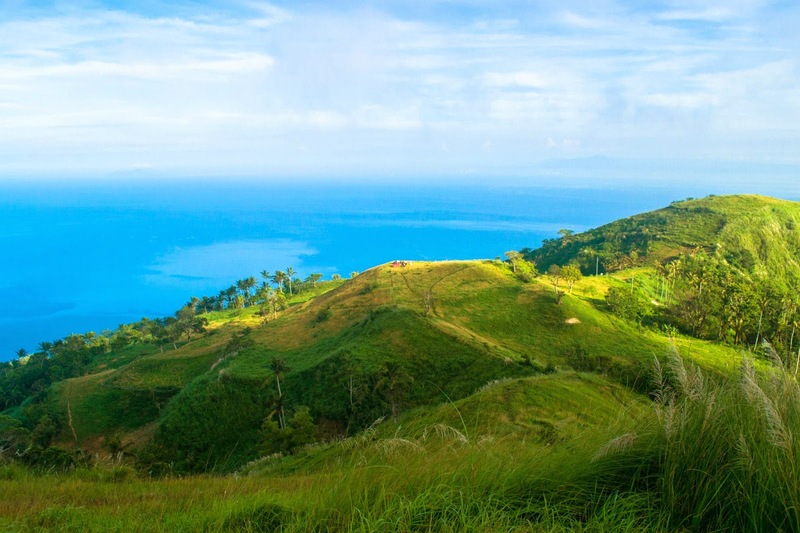 Its summit, which is 525 MASL, has a breathtaking coastal view that is almost ethereal under a sunset or sunrise. Aside from its hiking spots, the area is also known for its beaches and diving spots. After the hike, you also have the option to go island hopping in Sombrero and Maricaban islands. How to get there: Ride a bus en-route to Batangas in Cubao or Buendia. Get off at Batangas Grand Terminal. Board a jeepney going to Anilao and come down at Philpan-Mabini intersection. Hire a tricycle going to the jump point in Philipan resort. Mt. Manalmon, which is technically a hill at only 196 MASL, is one of the best first hikes around Metro Manila. As part of the Biak-na-Bato National Park, the mountain has extraordinary rock formations and numerous caves you can explore. One of the highlights of the climb is to cross the Madlum River using a monkey bridge. At the peak, you can see the nearby Sierra Madre and Mt. Arayat. To make the visit worthwhile, you can visit Madlum and Bayukbok Caves or hike the nearby Mt. Gola. How to Get there: Board a bus in Pasay or Baliwag in Quezon City that is bound to Cabanatuan. Drop off at Kamias in San Miguel, Bulacan. From here, ride a trike to Brgy. Madlum’s jump-off point. Mt. Buntis, which stands at 280 MASL, got its name because its shape resembles that of a pregnant woman’s belly. Aside from nearby Mt.Nagpatong, Mt. Buntis is one of the mountains that are believed to be possible execution sites of revolutionary leader Andres Bonifacio. At the summit of Mt. Buntis, you’ll get to see a gorgeous view of the Mariveles range. The surrounding area is also forested and diverse, making it an excellent bird watching spot. Side trips include visiting Bonifacio shrine and dropping by Our Lady of the Assumption, an old church regarded as a national heritage site. How to get there: Take a bus bound for Ternate in one of the bus terminals in Pasay. Alight at PUP-Maragondon and head for the Municipal Hall to register and get a guide. The jump-off point is at Brgy. Caingin’s hanging bridge. Another excellent prospect for your first ever climbs is Mt. Romelo; which stands at 240 MASL. Reaching its grassland summit is quite easy, albeit on the rainy months when the trail gets muddy. Twenty-one waterfalls also surround the area with Sampaloc Falls, Lanzones Falls, Twin Falls, Buruwisan Falls, and Batya-Batya Falls as the most frequented. To get most out of your trip, you can set up camp and have an overnight near the summit. How to get there: In Pasay, ride a bus bound to Infanta, Quezon. Alight at the Buruwisan Falls Ecology Park junction. From here, walk 10 minutes towards the registration site, the Greenhouse. You don’t have to be heartbroken to hike this mountain. Mt. Sawi, which stands at 594 MASL, is a new hiking destination compared to other entries in this list. However, it does not lag behind with regards to how beautiful its sights are. The summit offers a pristine view of a valley. Currently, there are two known trails that hikers could use- Dupinga Bridge and Simbahang Bato. How to get there: From Cubao bus terminal, ride a bus going to Cabanatuan. Alight at Cabanatuan and grab a van or jeep heading to Gabaldon at the town’s central terminal. Tell the driver to drop you at Malinao’s barangay hall. Mt. Sipit Ulang’s iconic rock formation resembles that of a “crab’s claw,” hence its name. The trail leading to the summit consists of forested areas and limestones. One of the highlights of the climb is crawling and scrambling under the short cave connection leading to the peak. When you reach the summit, which is 252 MASL, you’ll get to see parts of the Sierra Madre Mountain range. Overall, the climb is very manageable and offers a lot of features not commonly found in other mountains. One of the famous side trips after the climb is taking a dip at Payaran falls. How to get there: From Cubao Farmer’s Market, ride a passenger van going to Eastwood/ Montalban, Rizal. Alight at Total Gas Station and ride a trike going to Brgy. Mascap hall, where you will register. If you are familiar with the lore of Bernardo Carpio, a Herculean figure who was trapped between two rocks, then you need to hike these two mountains. It is believed that two rocks mentioned in the tale are Mt. Binacayan (426 MASL) and Mt. Pamitinan (424 MASL) which is split by the Wawa River. Both mountains have technical ascents with rocky terrain. Don’t be discouraged though, as both have lovely scenery -from the tantalizing sea of clouds (if you come around dawn) to the breathtaking sight of nearby mountains to a magnificent view of the Wawa Dam. How to get there: From Cubao, ride a passenger van going to Rodriguez, Rizal (some have “Montalban,” the town’s old name on their signage). Alight at the town proper and ride a trike going to Wawa Dam. Registration is at the Brgy. Hall. On June 15, 1991, Mt. Pinatubo erupted and buried several nearby towns in lahar or volcanic ash. It was one of the most horrific natural disasters in the country. Fast forward today, Mt. Pinatubo is regarded as one of the most popular tourist destinations to local and foreign visitors. Hiking Mt. Pinatubo is fairly straightforward, albeit some minor river crossings which are at least ankle-deep. At the summit, you’ll be treated with a view of the mesmerizing lake. It’s a must entry on anyone’s bucket list. How to get there: From Cubao bus terminal, ride a bus bound to Olongapo or Baguio. Alight at Capas, Tarlac public market. Grab a trike and head to Sta. Juliana’s tourism office. Here you can hire a 4×4 jeep that will take you to the drop-off point. The Philippines is blessed with tons natural destinations, especially our picturesque mountains. If you haven’t tried climbing at least one of them, you are missing a lot. Worry not, however, because the beginner-friendly hiking spots we mentioned will surely get you to appreciate this rewarding physical activity. Have you visited any of these mountains on this list? Tell us your thoughts and share us your experiences in the comment section. Even though you can’t build a snowman, you can certainly get a Disney feels at the beautiful Disney-themed Festival of Lights this coming Friday. Let yourself go and have fun at the Instagram-worthy light installations placed along Ayala Avenue and the Ayala Triangle Gardens. From it being too tight, too loose, no eyewear compartment, or even too enclosed -- the list goes on and it can get very frustrating. Enter the Oakley ARO Series. Siquijor is an unexplored tropical paradise filled by trees and surrounded by white sand beaches. What better way to spend your well-deserved vacation than to camp by the beach on luxurious bell tents from Glamping Philippines in Solangon Beach, San Juan, Siquijor? Anyone will not mind the quick drive via SLEX to arrive at a cozy vacation spot. If you're looking for a new and beautiful place for your quick relaxation, you want to explore La Bella Boutique Hotel and Residences in Tagaytay. If you’re out to look for something that will satisfy your cravings, good news! Krispy Kreme recently launched their newest Halloween treats: Frozen Kreme Shakes and Halloween Doughnuts.